Ramat Gan, November 1, 2018: Registration is now open for the eighth International Diamond Week in Israel (IDWI), to be held from January 28 – 30, 2019 at the Israel Diamond Exchange (IDE). The event has become a staple on the global diamond calendar, and attracts hundreds of international buyers from over 20 countries every year. 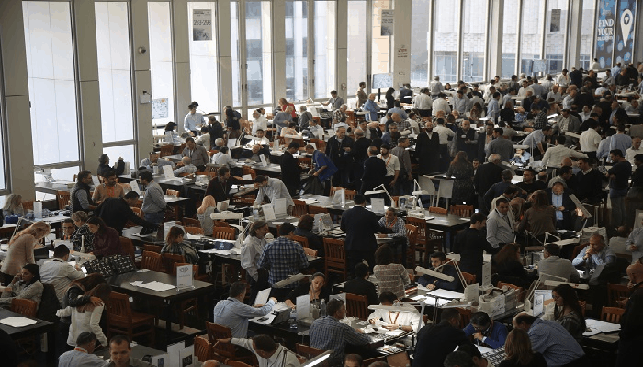 IDWI is held on the immense trading floor of the Israel Diamond Exchange (IDE). It will feature 200 Israeli exhibitors of polished diamonds, with huge amounts and varieties of goods on offer. In contrast to the large, expensive trade shows, IDWI is a boutique show, exclusively for diamond buyers, with minimal participation costs. Moreover, eligible buyers will receive three complimentary nights at a local hotel. IDE President Yoram Dvash said: “IDWI has become a tradition in the diamond world and each year it has become bigger and more exciting. This year will be the biggest and most exciting show so far. We invite you to join us, to soak up the dynamism and the energy, and to do business”. IDWI Chairman Ezra Boaron said: “The 2018 IDWI was a huge success and it surpassed all of the previous ones. We’re planning to make the next IDWI even more thrilling than before. Register now and secure your place”.